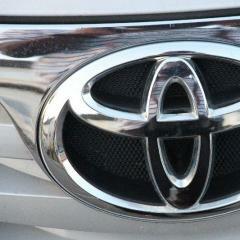 Toyota Tranmission Speed Sensor Manufacturer? Does anybody know the Toyota Tranmission Speed Sensor Manufacturer? I Require a new speedometer sensor and i dont wish to pay the dealership part costs and would rather go with the OEM directly. The chiniese speed sensor dies after two days use. First you need to know the part number, so you can get it from another source. You can try http://www.toyodiy.com/ (you need to register for free to see the diagrams) or http://www.japan-parts.eu/toyota . Once you are in the sites, type your VIN and the car part will show up. It take a bit of navigating to find the part number. It would be easier to enquire with the parts department to get the part number, then find a good quality (no knock off) part online. You still need to confirm the part is correct for your car. You need to confirm with the seller how genuine the part is!